The 2018 outlook for the U.S. livestock and poultry sectors is generally positive. 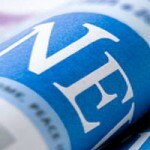 There are, however, concerns for both markets as uncertainty looms around trade agreements, said James Robb, director and senior livestock economist for the national Livestock Marketing Information Center. January’s weather can be frightful; and for Virginia cattlemen, frigid temperatures call for extra precautions for their livestock. In January the USDA National Agricultural Statistics Service will survey about 920 cattle operations in Virginia to provide an up-to-date measure of cattle inventories. 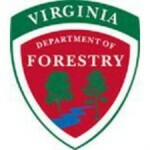 The USDA Natural Resources Conservation Service is making $874,000 available to farmers in 21 Virginia localities. Farmers need to prepare for power outages, threats to livestock and poultry, and structural or crop damage, that can accompany a strong winter storm. Virginia Governor Terry McAuliffe announced plans to include funding for new and renovated livestock, poultry, and equine facilities at Virginia Tech. 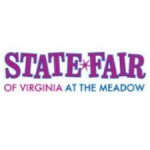 Youth who exhibited in the 2015 State Fair of Virginia livestock shows are eligible to apply for scholarships offered by the State Fair of Virginia. The Virginia Department of Agriculture and Consumer Services (VDACS) has announced changes to two state animal regulations: the Animal Importation Regulation and the Livestock Markets and Dealers Regulation. Almost 1,500 Virginia livestock farmers have signed up for state cost-share funding to install conservation practices on their farms. A circuit court judge in Richmond rejected on July 9 a lawsuit aimed at declaring a cow a fertilizer applicator. Dr. Richard Wilkes, State Veterinarian with the Virginia Department of Agriculture and Consumer Services (VDACS), reminds livestock and poultry owners and show managers that there is the potential for animal disease spread when animals are commingled. A budget amendment is on the table that would restore the commonwealth’s portion of the state and federal program that helps Virginia livestock producers suffering from coyote depredation. Results of a new study of genetically engineered crops eaten by livestock indicate again that GMO feed is safe and nutritionally equivalent to non-GMO feed. Official attendance figures show 238,000 people visited this year’s State Fair of Virginia, a 4 percent increase over last year’s attendance. “We couldn’t have asked for a better combination of mostly sunny skies, cooler temperatures and large crowds,” said Greg Hicks, the fair’s vice president of communications. The American Farm Bureau Federation emphasized U.S. farmers’ and ranchers’ commitment to national health and responsible livestock production practices. Fields, pastures, creek sides … and trees! Come find out about agroforestry in a day-long workshop focused on two particular practices, riparian buffers and silvopastures. These practices are one way to bring trees back into our farming to work for us, and the land. Livestock producers that have experienced grazing losses since October 2011 and may be eligible for benefits but have not yet contacted their local Farm Service Agency (FSA) office should do so as soon as possible. The Virginia Department of Agriculture and Consumer Services has confirmed the first case of Eastern Equine Encephalitis in a horse this year. Two of the primary buildings at the Rockingham County Fairgrounds will soon be renamed. Both facilities are iconic structures at the fairgrounds and have been used for more than 3 decades. 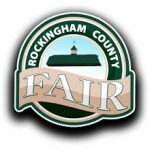 The Rockingham County Fair Association announced Sunday that the 2014 Fair set a new, all-time attendance record both for its single-day take on Saturday and for the week as a whole. American farmers spent $367.3 billion to run their businesses in 2013, according to a farm production expenditure report published recently by the U.S. Department of Agriculture’s National Agricultural Statistics Service. Virginia livestock producers treat their animals with antibiotics when they are sick, but meat and milk from animals with antibiotics in their systems doesn’t end up on store shelves. It’s time for the Rockbridge Regional Fair, which makes its annual return to the Virginia Horse Center July 16 – July 19. 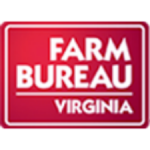 The Virginia Department of Agriculture and Consumer Services encourages Virginia farmers to participate in two important mid-year surveys from the USDA National Agricultural Statistics Service (NASS). The sale of agricultural products, both nationally and in Virginia, reached a record high in 2012, according to the 2012 Census of Agriculture.